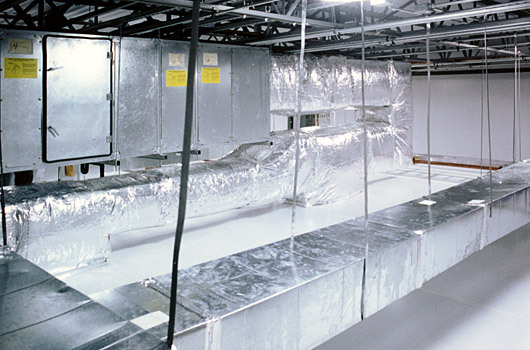 View of a custom HVAC installation. Lasco Services is a licensed, Texas HVAC contractor. The mechanical crew at Lasco Services has over 20 years experience in design and installation of HVAC systems pertaining to DX, chill water, boilers, geothermal, water source heat pumps, exhaust systems and air side components. Lasco Services employs a technical staff fully trained and certified in mechanical maintenance and service of building systems and components. For design build or plan and spec jobs, our team is ready to handle your needs.